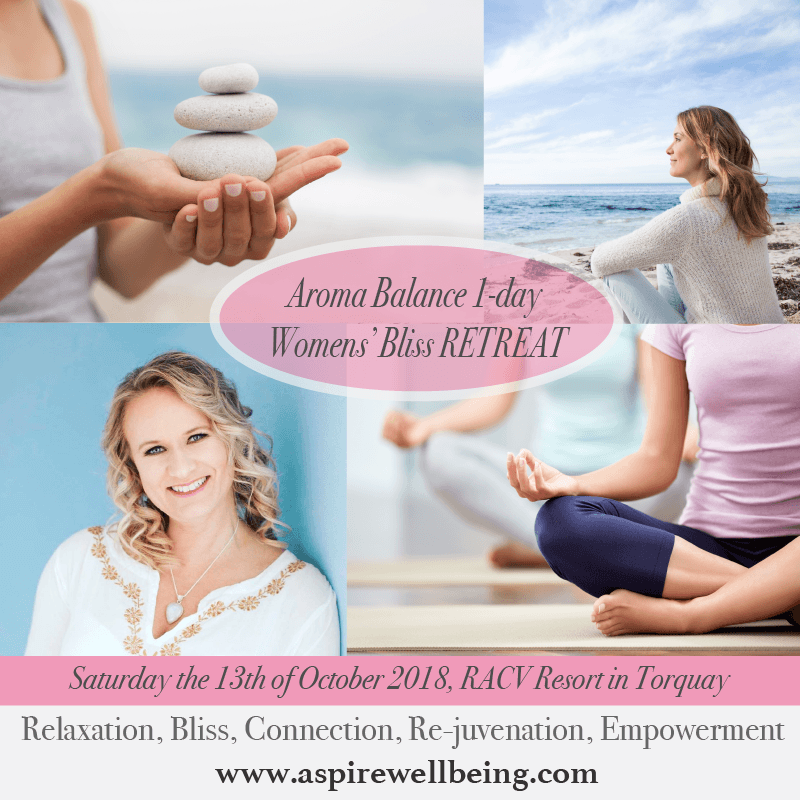 This is an amazing Women’s Bliss Day RETREAT – Aroma Balance RETREAT held at the stunning RACV Resort in Torquay on Saturday the 13th of October 2018. It’s a day for women to relax and give back to themselves, to connect with other women, to become rejuvenated, energised and empowered. This Retreat is amazing as you will be immersed in wonderful therapeutic smells. All snacks, tea and coffee and lunch is provided an all participants will receive an amazing gift bag!! It’s a day of Self-Care, Self-Love and Self-Nurturing! This day includes snacks, tea/coffee morning and afternoon + an amazing show bag with gifts and all activities. 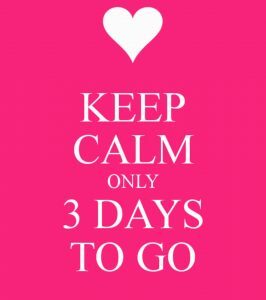 Most of all you get a day for you and a day of connecting with like minded women. Note: You do not need any experience in Yoga etc. to attend this. 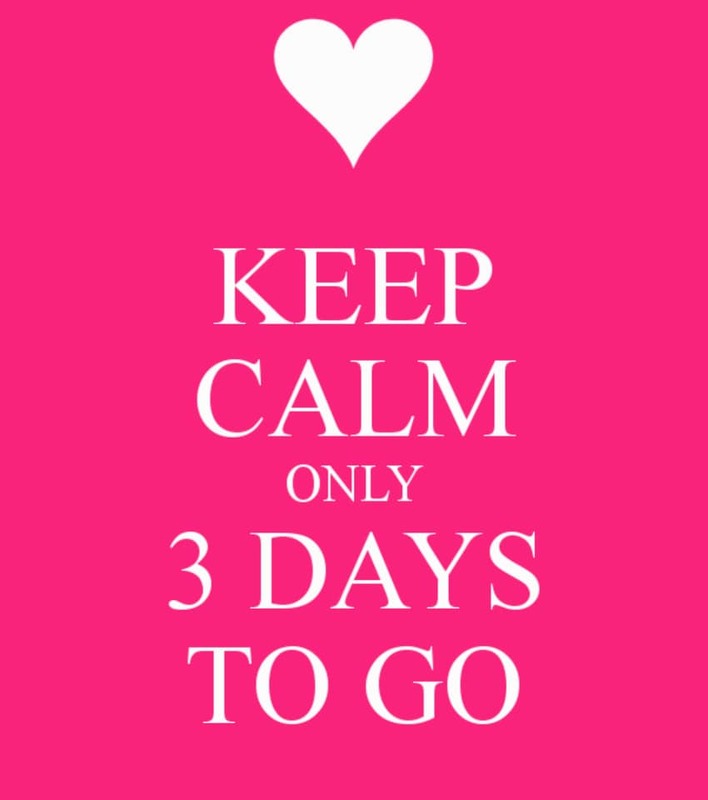 This day is attended for women who want to empower themselves in terms of life and wellness. Me and my team look forward to seeing you! Kari Hagberg is founder of Aspire Wellbeing – a wellbeing Centre and Shop in the heart of Torquay. Karin has a Swedish degree in Sports Education from Sweden. She is a Lifestyle, food and Wellness Coach, NLP Master Coach and Hypnotherapist, Remedial Therapist, Reiki Master, AromaFreedom Technique Practitioner and Pilates/Yoga Instructor. She has over 20 years of experience in the Body, Mind and Spirit field. She has written one book called “Body Awakening – Balance your body, mind and spirit with Pilates and an active lifestyle”. She runs empowering Wellbeing Retreats around Victoria in Australia. 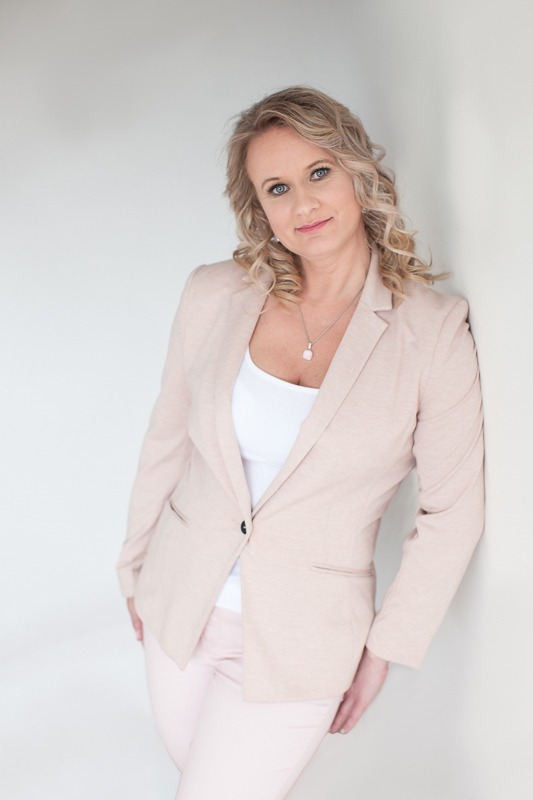 Karin is passionate about empowering people when it comes to health and wellness and looks forward to sharing her success tips for becoming an ultimate Well-Being and giving you some empowering well-being tools to walk away with that you can implement in your life. Are you ready to become and Ultimate Well-being – so that you can live a life filled with health, vitality, energy, enthusiasm and purpose? Karin invites you to have a day to yourself – a day of self-care, self-love and bliss. Karlene Georgiadis is a Naturopath with twenty years of clinical experience. She is based in Torquay, Victoria but works with clients from all over Australia. 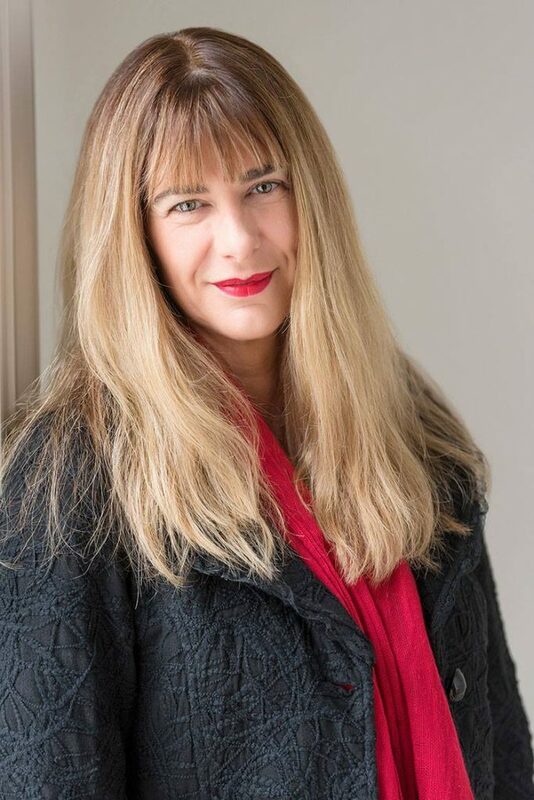 She is known for her expertise in the area of gut health and the gut-brain connection and works closely with a biological laboratory to develop individualised treatment protocols for her clients, based on the latest research. Karlene is a mother of two, an artist and singer. She loves weights training, yoga, chai and experimenting with gut friendly recipes. Karlene is excited for an opportunity to speak about her passion, the indepth and often misunderstood field of gut health. Listen to Karin’s interview with Karlene. Jacqui is born and raised on the Surf Coast and Geelong, Jacqui brings over 30 years of professional teaching and performing experience in Schools, Early Learning Centres, Universities, Festivals, Corporate and Community celebrations. 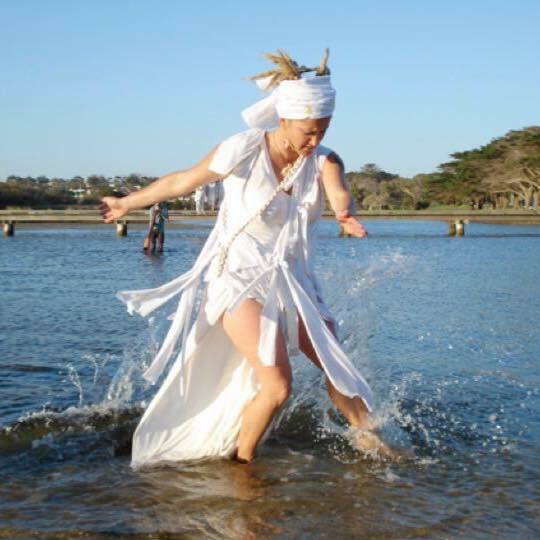 Jacqui is intrigued with Performance Ritual and how people express their identity and connection to their sense of place through music, dance and across the Arts. Her inspiration draws from nature and the environment, researching the Ecology of Place and Sensoriality through an intersection of poetry, film, sound and movement within Dance Anthropology and Ethnochoreology. Jacqui’s teaching and choreography also draws upon her formal training in Contemporary and Classical dance techniques supported with Yoga, Pilates, Feldenkrais, Skinner Release technique and Laban Movement Analysis. She has extensively studied dance and drumming styles of the African Diaspora including Soukous, Highlife, Tap, Afro-Jazz, Funk, Afro-Cuban and Afro-Brazilian. On the Australian festival circuit, over the years, Jacqui has performed with many African dance bands notably, Warako Musica (Congo), Thula Sana (Sth Africa) and Adzohu (Ghana). Jacqui currently creates works within her own company, Wild Moves International, and this has led to residencies in Africa, Brazil, Europe, India and Nepal. In 2007, Children of the Blue Light: bringing healing through music and dance, was her first major ethnographic film documentary in performance ritual at the Cape Coast Slave Dungeons of Ghana, West Africa. The focus of her dance section as part of the Wellness Retreat is on woodland and coastal bird wildlife using repetitive surefootedness and gliding flight paths that challenge your sense of balance and control within a dynamic rhythmic perception. Great for movement memory retention, swoop, catch, dive, swing, ruffle, twitter, shake, stomp and greet your ‘wild woman within’ giving gratitude towards your relationship to the Surf Coast environment. The focus is on the birds as messengers and she will incorporate the Essential Oils Eucalyptus.